A Glimpse of Blue : Book Shopping! Recently, I had one of those glorious Saturdays when I had no school to do. I know, practically unheard of, but I did. The sun was shining, I got to sleep in, my grandparents were over and I decided I would visit one of my favourite places in the world, Chapters! So I did a little, mini book haul... I'm not really sure how many books count as a haul. Is it different with clothing? Like you have to buy five items of clothing for it to be considered a haul but at least seven make-up items when you do a haul then? I dunno, I'm calling my book shopping trip a mini haul. Here are the awesome books I bought! Apologizes for the quality of the photos, I had to take them quickly before I ran out the door. This is probably one of the funniest books I've EVER read. I actually can't read it in public because I laugh out loud and people give me weird looks. 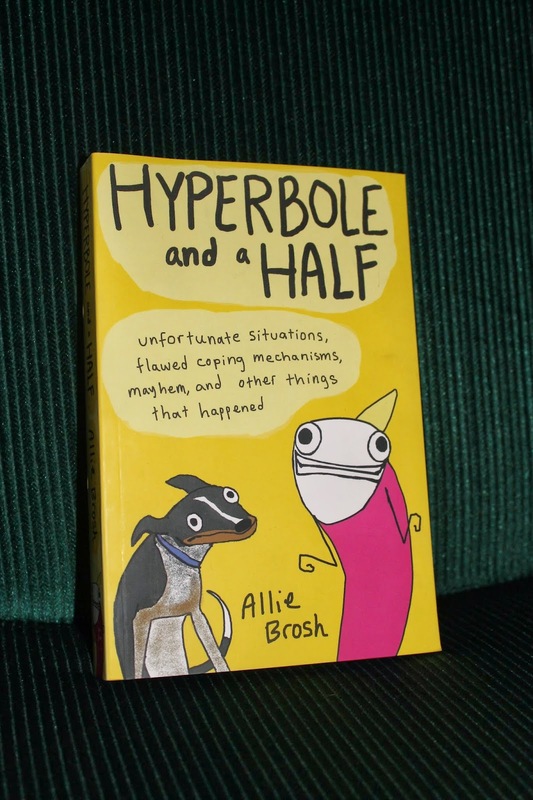 "Hyperbole and a Half" is a blog written by Allie Brosh and she has compiled a whole bunch of her posts into this book! 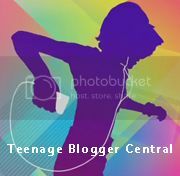 Her blog posts have a whole bunch of cartoons throughout them and they are hilarious. She talks about everything from geese getting into her kitchen to her struggle with depression and she is really relatable. I definitely recommend it for anyone who likes to laugh. The only thing is, for anyone who's a bit squeemish about swearing, there is a moderate amount of it. This is one of my many, many favourite books and I didn't own it and it was on sale, so I decided to buy it. I honestly love Nicholas Sparks' writing style, it's really emotional and relatable. I'm not a big sob story reader but I love his books. This one is about a girl and her younger brother who are sent to their dad's for the summer. The girl, Ronnie, really hates it there and is mad at her dad for leaving them. She has shut out anything to do with him, including her love of music. While there, she meets this guy Will. Throughout the book, she learns how to forgive and grow close to her dad again and learns to love someone else. It is a Nicholas Sparks book, so you can probably predict the type of ending it will have but it's a truly beautiful book. Anyone who enjoys sob, love, family stories, I would DEFINITELY recommend it. And for those of you who have seen the movie, the book is better. This book grew on me. I first read it and wasn't sure what I thought of it. Then I read it again and decided I liked it. Then read it again and decided that I really liked it and wanted to buy it. It's a murder mystery set in 1906. I'm not usually really into mysteries but I liked this one. It's based on the murder of Grace Mae Brown. The main character, Mattie, goes to work at a hotel for the summer. Grace gives her the infamous love letters to dispose of and Mattie has to try and figure out how and why she was killed. The book switches between her at the hotel and her in her hometown with her friends. I recommend this book but there is some sexual and violent content that could be disturbing for some people. Kay! So there is my mini book haul for you all to see! How about you guys? Any books you've been enjoying lately or would recommend? I love this classical song so much! Yiruma is an amazing piano composer and this is definitely one of my favourites. Yes, this is from Twilight but the song was written WAY before that. It's a little melancholic but beautiful. Gahh, love it. I've seen the movie for the Last Song, but I haven't read the book yet-I'm planning to though. Hyperbole and a half sounds good too. And Yiruma is incredible. I love almost all of his work. It's just so pretty and peaceful.